So many of the complaints about density seem to revolve around all the supposed negative affects of congestion, as well a general sense of the inhumanity of high density living, which in the popular mind is associated with the proverbial “concrete jungle” and a forest of skycrapers. I can understand why many people want a house on a big lot. On the other hand, high density living, done right, can be extremely livable, humane, and even uncongested. When I lived in Chicago I frequently would have people tell me that they couldn’t imagine themselves living in such a big, dense city. They no doubt had impressions of living there shaped by their visit to the Loop and other tourist areas, which are indeed crowded and have attributes of the concrete jungle. But other than a narrow strip less than half a mile wide along the lakefront, most of Chicago isn’t built like that. Chicago actually has some of the most beautiful, livable streets and neighborhoods in America. Except for a few small areas with so-called WPA streets, its neighborhood streets have full infrastructure with generous sidewalks and parkways full of mature trees. Homeowners often landscape this and their front yard such that it’s like walking through a lavish garden simply to walk down the street. Alleys mean no trash in front and the city has virtually no on-street power lines. It also has full and amazing street lighting on streets and alleys. The building stock is mostly single family homes, 2- and 3-flats, and lowrise apartment buildings. Much of it is like a city in a garden. My old neighborhood was Lakeview, which has 94,000 people in about 3.2 square miles, or 30,000 people per square mile. Yet its residential streets are quiet, tree-lined, and delightful – a far cry from the concrete jungle. Frankly, they are better than the average street in most Midwest cities. Today I live on the Upper West Side of Manhattan. This neighborhood is the second most dense in the entire city of New York, with 209,000 people in 1.9 square miles, or 110,000 per square mile – almost four times as dense as Lakeview and 25 times as dense as the city of Portland. Given this density, you might think it would be a horrific urban nightmare to live in. Yet, it’s incredibly pleasant, bucolic even. The picture at the top of this post is West 68th St., where I live. 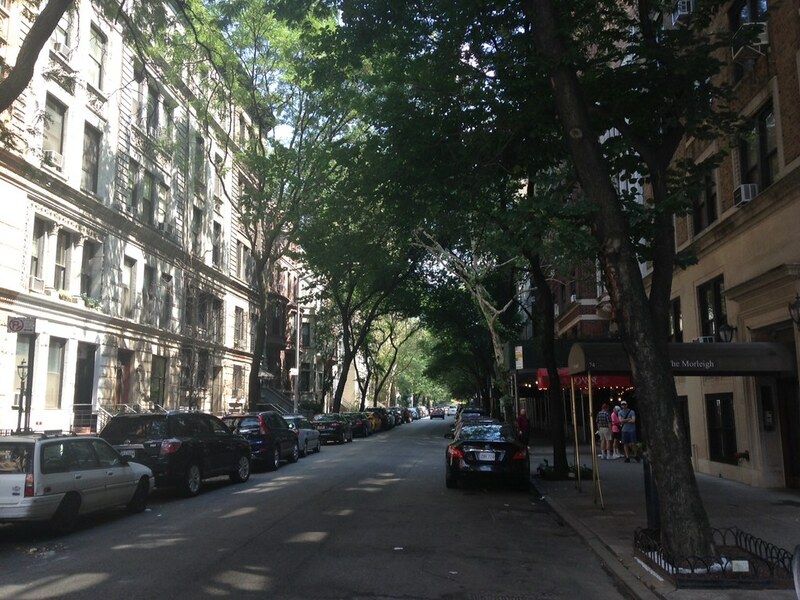 It’s a tree lined street of low to mid-rise buildings with mature trees and very little traffic. Contrary to the jackhammers all night long stereotype of New York, it’s very quiet. 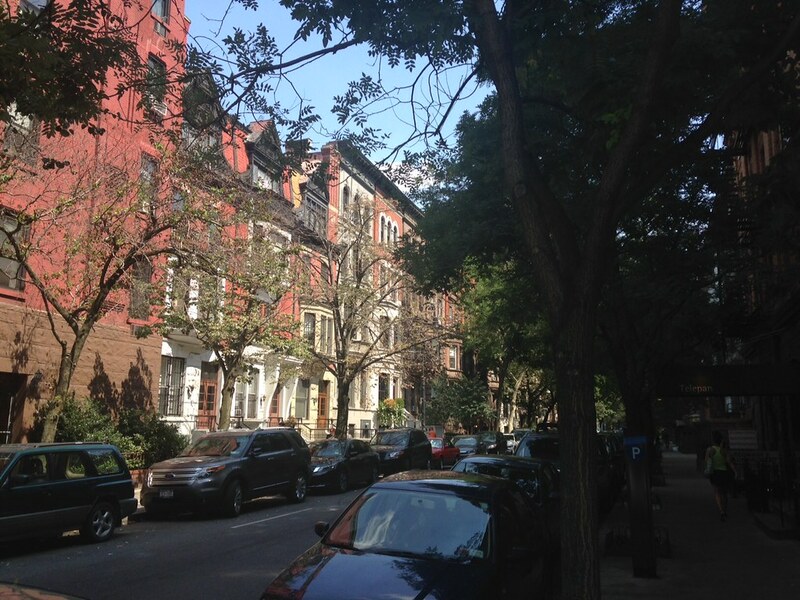 Most of the streets in the UWS are similar: tree-lined, quiet, with beautiful low-rise brownstones and such. 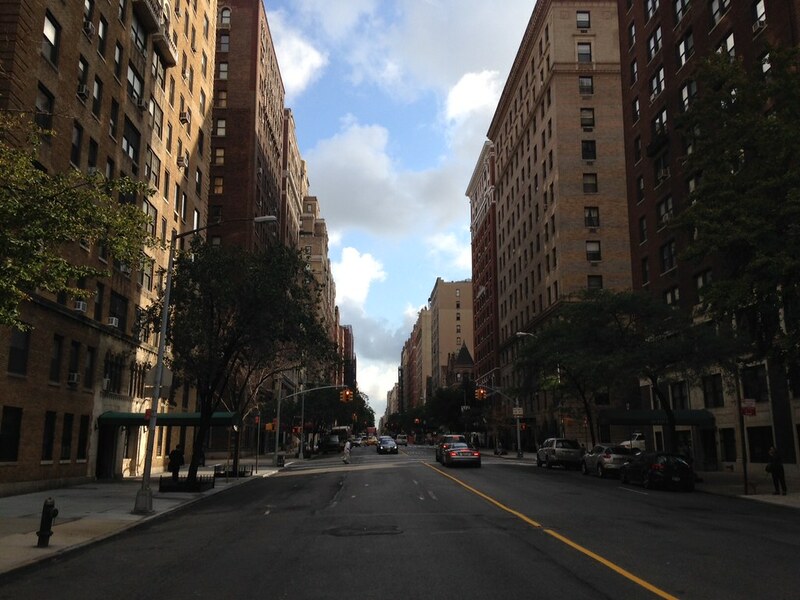 Here are a couple photos that I believe are both of West 69th. I should mention that behind these buildings, while there aren’t alleys, there are often interior courtyards between blocks with open space and greenery. The avenues feature taller buildings, but while there are some skycrapers, there aren’t really that many. 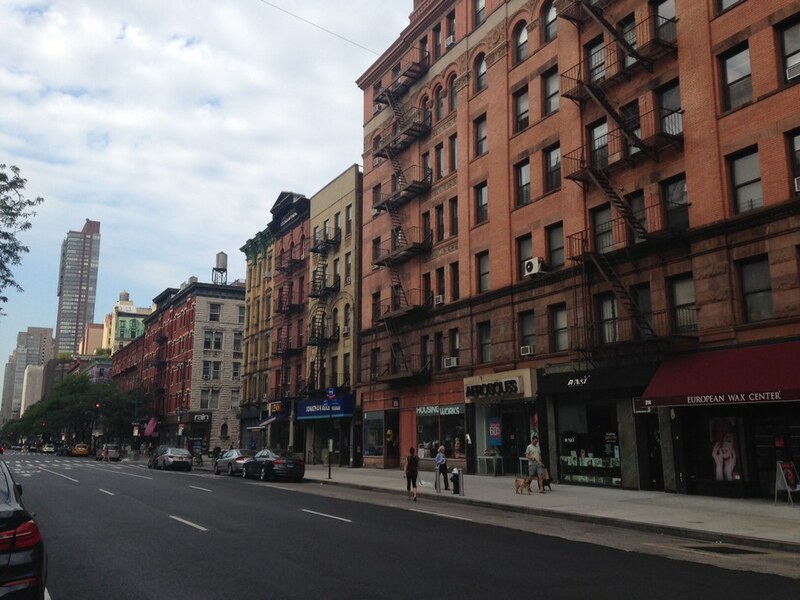 Here’s a stretch of Columbus Ave, with typical commercial-residential mixed use buildings. (The average is probably a bit more intense than this shot). Here’s the intersection of 72nd and Broadway, one of the major intersections in the neighborhood. There are some taller buildings and more intense retail, but a number of those buildings are just stunningly beautiful as well. West End Ave., one of the major residential avenues, has more mid-rise towers, but mostly beautiful pre-War buildings at around ~12-14 stories, or not much different from Barcelona. Central Park West is one of America’s premier streets, with similar sized buildings to WEA, many of them truly landmark designs, that overlook Central Park. Speaking of which, I am a five minute walk from Central Park, ten minutes from the Metropolitan Opera House at Lincoln Center (LC has more arts and culture going on than all but probably five total metro areas in the US), and about 15 minutes to the Hudson River greenway. There are two subway trunk lines passing through the area. 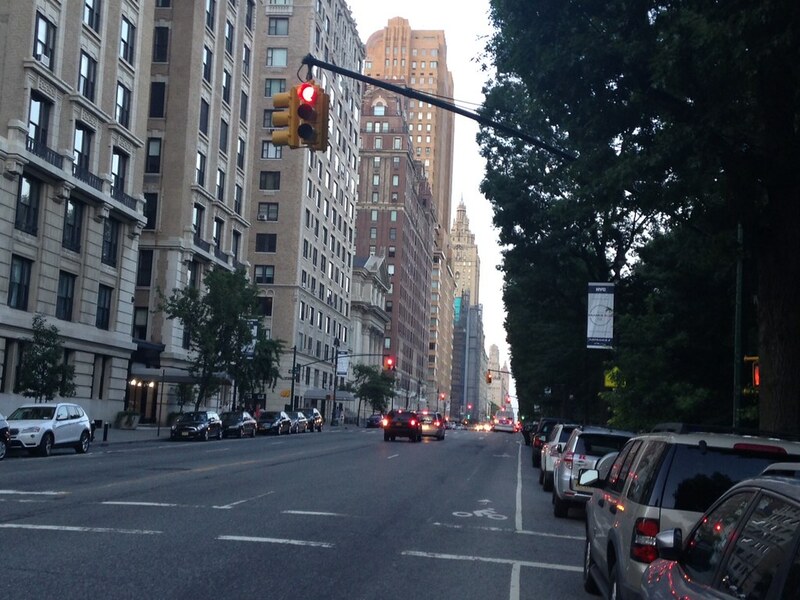 Traffic moves very rapidly on the main avenues, which have synchronized lights, and you can often traverse almost the entire length of the UWS on say Columbus without stopping. The streets have very light traffic mostly except a handful of major crosstowns. The grid design makes navigation a snap. Accident rates are low. Though not everybody is as close to Lincoln Center as I am, all of the UWS has good access to Central Park, subways, and the Hudson River. Other people are closer to other cultural amenities, such as the Natural History Museum. While not every aspect of the UWS is positive, I feel very grateful to live here. It’s an extremely humane and pleasant place to live, despite the density. 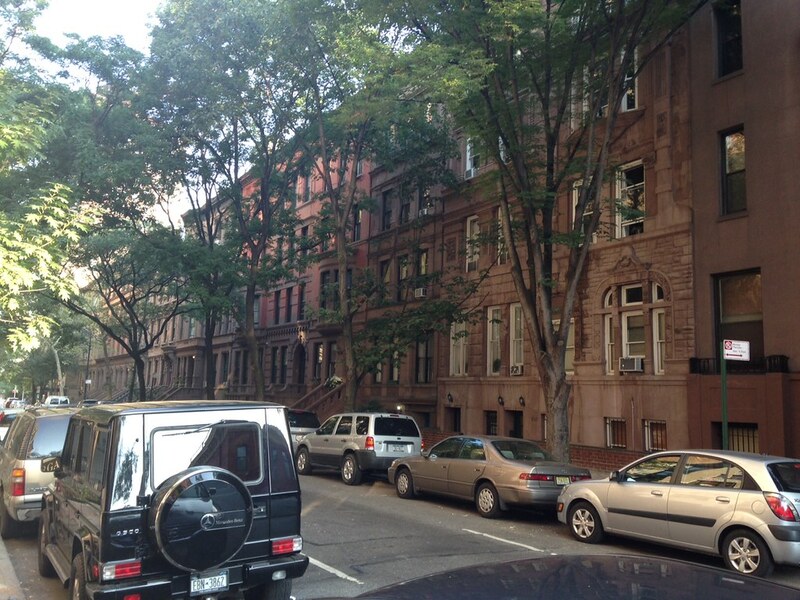 In fact, the main knock most people have on the UWS is that it’s so humane it’s boring. 1. The right built form, with a variegated style of low to mid-rise buildings – not high rise – and lots of quiet, tree lined, side streets, with mostly high quality architecture. 2. Infrastructure, notably the subways. 3. Amenities like Central Park, the Hudson River, and Lincoln Center. 4. Well-functioning public services, especially public safety and sanitation. The last one is of particular note, as the neighborhood was not as nice as it was today with only the first three. John Podhoretz, who grew up in the area in the 1970s, wrote about what it was like before order was restored. The musical West Side Story is actually set in the far south end of the neighborhood. (Lincoln Center, whatever its merits as a cultural district, was built as an urban renewal effort to get rid of the Puerto Ricans in the area). Central Park wasn’t much of an amenity when it wasn’t safe to go into it. These obviously take wealth to sustain, but not all of it has to come from the neighborhood. Clearly the superior building stock came from neighborhood wealth, but parks, subways, etc. are paid for on a broader basis. Given the vibrant ethnic neighborhoods that exist today in other parts of the city, I’m sure this could have been a successful, safe working class Puerto Rican neighborhood with today’s public services environment. Of course, once safety and services were addressed, the value of the real estate skyrocketed. There are some high rises in the UWS, particularly to the south, but these are the exception, not the rule. Yet this is still the second most dense neighborhood in the city with a hard to comprehend density of 110,000 per square mile. I can see why it isn’t for everybody, but I think people would agree that a neighborhood built like Paris or Barcelona (and in fact lower rise than those cities in most places) is hardly a concrete nightmare. Density, done right, can be supremely humane and livable. I think the UWS also illustrates the fallacy of too much of today’s urbanist thinking which is all about building tall to increase housing supply. If you can get to 110K density with mid and low rise buildings, skyscrapers just aren’t needed to provide any reasonable amount of density in the United States. There’s also a lot of talk about supply restrictions. I don’t like historic districts all that much, because I think in practice they are abusive. 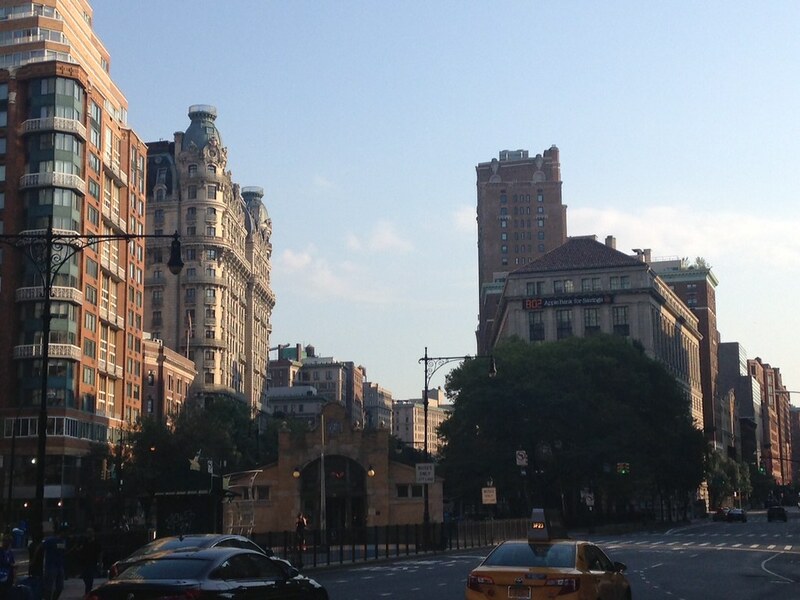 Much of the UWS is in a historic district. There are any number of stink bomb buildings on the UWS I wouldn’t mind seeing replaced with new development, a few new skyscrapers wouldn’t be a disaster. If the population density even went up, I wouldn’t mind – it might even be good. But at the risk of sounding like a NIMBY, there’s just no way a neighborhood like this should see a massive increase in FAR to enable redevelopment with taller buildings. Turning one of the world’s great neighborhoods into Midtown would be a disaster. Instead going directly to policies like “let’s just remove DCs height limit,” instead people should be taking a look at very high density neighborhoods like the UWS that function amazingly well and figure out how to adopt the lessons of that to other places.